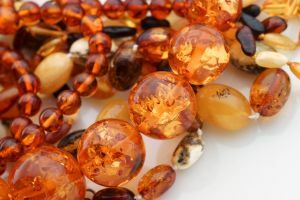 Amber is the national gem of Lithuania, and can be found in plentiful quantities throughout the country. Sold as both uncut chunks and carefully crafted ornamentation, Baltic amber makes for fine jewelry as well as purportedly carrying healing properties. Honey is holy according to Lithuanian mythology, and it’s a popular edible souvenir in addition to hard white cheeses with caraway seeds and herbs, as well as Lithuanian black bread and local biscuits. If you’re looking to quench your thirst, starka is a traditional, slightly sweet vodka made from rye; mead is a high-quality local favorite. Traditional Lithuanian linens, knitwear, and wool felt accessories come in colorful designs and artistic patterns, often at much cheaper prices than you’d find outside the country without sacrificing the quality. 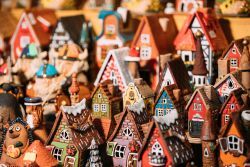 Woodcarving is another traditional craft, and souvenirs can be found in the form of medallions, statuettes, kitchen utensils, and wooden jewelry. Amber is not as plentiful in Latvia as it is in Lithuania, but it still washes up on beaches here and is sold in shops and dozens of stalls behind St. Peter’s Church and on Valnu iela behind Hotel Riga. Latvian clay and porcelain artisans create souvenirs such as elegant dishware, figurines, beer mugs, vases, and miniature reproductions of some of Riga’s most famous sights, such as the Three Brothers or instances of the cat motif inspired by the Cat House landmark. 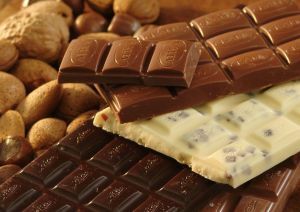 Honey is holy in Latvia, too, and other edible local souvenirs include rupjmaize (rye bread), saldskābmaize (sourdough), šprotes (similar to sardines), chocolates and beer truffles, and wine and beer made from Latvian berries. Black balsam is Latvia’s famously thick, black herbal drink touted as a medicine for coughs, stomach aches, hangovers, and much more. 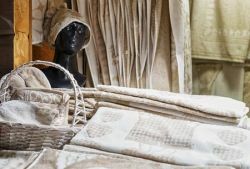 Traditional Latvian textiles are crafted into wraps, shawls, and linen scarves, and leather is found in a variety of useful and sometimes unexpected products. Reproductions of traditional jewelry are cast from originals found in archaeological sites, often made of silver, gold, and bronze with historical Latvian motifs. 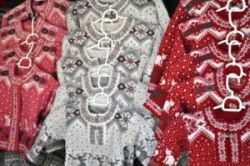 Traditional Estonian clothing is knit wool with patterns ranging from flowers to reindeer motifs, as well as sturdy linen sold in the form of hats, pants, and shirts. Nordic sweaters and national pattern socks are popular souvenirs, and can be found just about everywhere. Juniper berries are common in spices, and the fragrant wood is used to make kitchen implements. 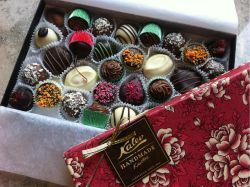 Kalev is a confectionary company that produces candies and chocolates beloved by both Estonians and visitors alike, found in high-end shops and local grocery stores. A standout drink of Estonia is Vana Tallinn, a rum-based liqueur that can be used in tea and coffee, and varies in alcoholic content. Berries, jams, smoked boar and elk sausages, are also delicious edible souvenirs. Soviet memorabilia is perhaps a strangely popular item to bring home, but the old knick-knacks, medals, and busts of Lenin are relatively cheap and found in abundance throughout antique shops.